That Sweet, Sweet Tile Cash | What is it? 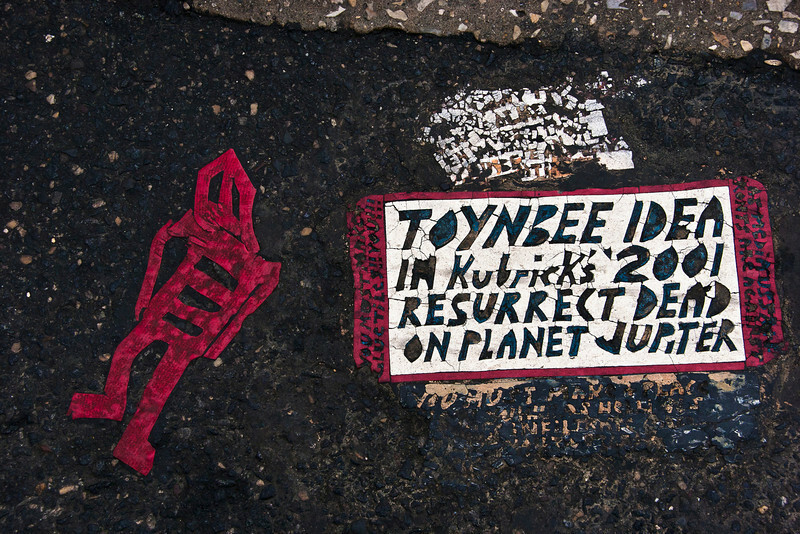 After nearly 20 years of interest, 6 years of investigation and 1 year of movie madness, I finally got around to putting together a gallery of Toynbee Tile photos. The gallery is far from comprehensive, but details a wide array of styles. Unfortunately, general negligence destroyed a large chunk of the official record. 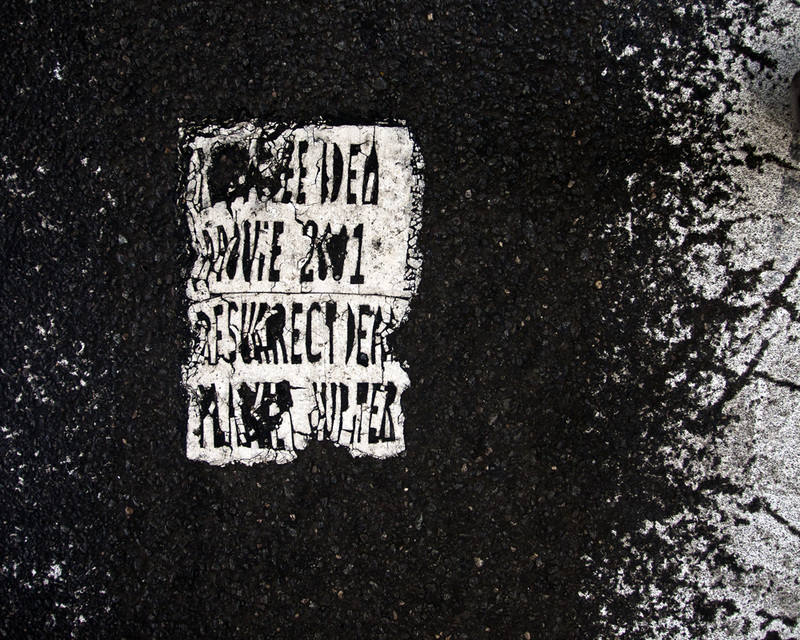 A dramatic hard drive crash/data loss incident in early 2007 wiped out a ton of irreplaceable photos (including the hybrid tile on I-676 in Philadelphia). In putting the gallery together, I also realized that I’ve been indefensibly lazy in getting tile photos for the past few years. What a creepy tile in a creepy place. I love it. Last thing. 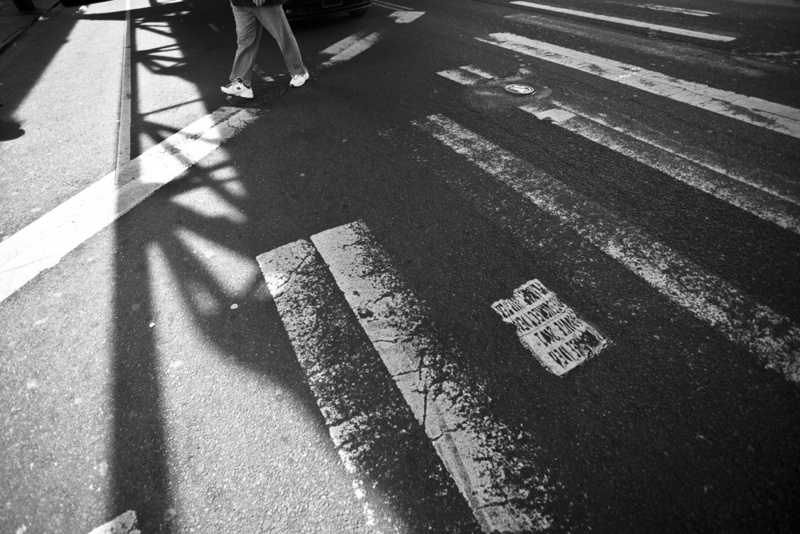 I’d be a better person if I didn’t mention that prints of all Toynbee Tile photos are on sale now! While I’m somewhat conflicted about selling prints of my tile photos, I’ve rationalized the whole thing in a couple of self-serving ways. One: They’re my photos. I try to create interesting representations of the tiles through texture, color and perspective. The fact that I add my own creative eye to the tiles themselves is worth a couple dollars. Two: The more the message is out there, the more it’s out there. 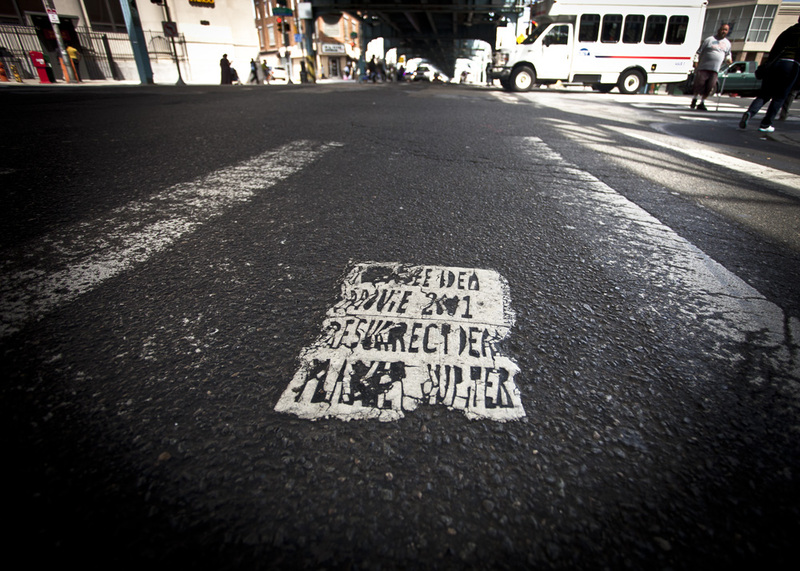 I’m a fan of all aspects of the Toynbee Tiles and want them to live on in whatever way shape or form that I can. Distributing prints for a nominal profit is one surefire way to achieve that. Thank you and Goodbye!!! For curiosity’s sake, are you still selling prints? The robot in that picture is by another street artist, wondering why it’s here unless he added it after the original Toynbee Tile was placed? He added it later. They share a medium. Just a show of respect. What’s with the robot? I’ve seen several of them before, but never next to a tile. The robot is a character made by the artist Stikman. He’s been around almost as long as the tiles, and sometimes shares a similar medium.